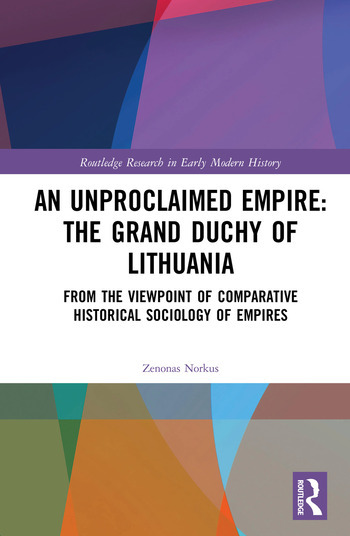 An Unproclaimed Empire: The Grand Duchy of Lithuania is an interdisciplinary study of the Grand Duchy of Lithuania (GDL) that is historical in subject but social scientific in approach. It is also the first study to apply this comparative and social scientific method to the GDL. In this book, Zenonas Norkus draws on national historiographies and applies theories from comparative empire studies involving historians, sociologists, political scientists, anthropologists and scholars in the theory of international relations, allowing it to transcend differences in national viewpoints. It also provides answers to contested issues in the history of the GDL, and raises a number of new questions, including whether the Grand Duchy was an empire or a federation, and why and when it failed. By adopting this "imperial approach" of considering the GDL as an empire, this book brings something new to the research surrounding the Grand Duchy and is ideal for academics and postgraduates of early modern Lithuania, early modern Eastern Europe, historical sociology, and the history of empires. 3.3. Whose empire was the Grand Duchy? 3. 5. Why was it so difficult to identify the Grand Duchy as an empire? Zenonas Norkus is a Professor of Comparative Historical Sociology at Vilnius University. His previous publications include Max Weber and Rational Choice (2001) and Which Democracy, Which Capitalism? Post-communist Transformation in Lithuania from the Viewpoint of Comparative Historical Sociology (2008).